Sail Out will sail into your list of favourite albums! 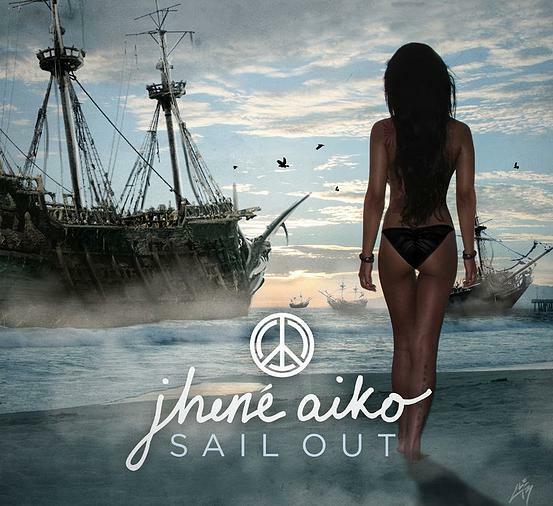 Sail Out is Jhené Aiko’s new EP on the market of music. A full-tracked album consists of 12 songs. When there aren’t enough songs to make a full album it is called an EP. This American beauty graciously blessed her fans and gave them a chance to see a different side of her. Her EP allows fans to have a different take on her and her music about real life situations. Jhené takes time to tell stories about her life through her music. Her angelic voice was a favourite amongst fans and they have been hooked ever since. The album begins with The Vapors (ft. Vince Staples), a song where Jhené reminisces about a relationship that didn’t work out because they weren’t meant to be together. She describes that the vapour of the weed makes them believe they are still in love, so basically their relationship is a hallucination, with her repeating the question “Can I hit it again?” .Two well-known favourites from the EP are Bed Peace and The Worst. Bed Peace (ft. Childish Gambino), a song about what the perfect day would be like and what would happen. The Worst is one of those songs that have you singing along but at the end thinking, ‘What is this song really about?’ In this song Jhené repeats the words “I don’t need you but I want to/ I don’t mean to but I love you”, again we have a relationship based song describing the negative effects that a relationship may have on an individual. Sail Out is filled with emotions, confessions, day-dreams and plenty of weed-talk. Definitely a must have. Bringing Breezy back to break some hearts!